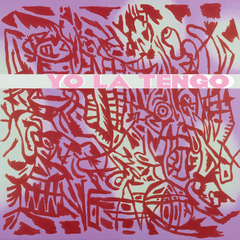 How do you describe Yo La Tengo's music? At times jazzy, tender, melodic, hypnotic instrumentals, and full out rock and roll songs. In their new album, they have returned to what they do best; toying with musical forms to create a messy, but melodic album. The album opens with an epic sprawling 11 minute track Pass The Hatchet, I Think I'm Goodkind. Stylistically the album is all over the place and some might say incohesive - but don't let that put you off. Ira shows his vast talents here, from crooning on Mr Tough or Sometimes I Don't Get You, to going full out rock and rolling Watch Out For Me Ronnie or The Room Got Heavy - with Georgia's delicious voice helping to soften the edges. They have so much heart in the centre of their songs, beautiful and delicate melodies that help to anchor what at times can veer into crazy directions. I've given up trying to pin them down with a definition. Embrace them with both arms, you won't be disappointed. They are clearly not afraid of you... and you shouldn't be afraid of them.